Ancient yogis used to consume the Ayurvedic golden milk for its health benefits. Its special ingredient is turmeric, which contains curcumin. Curcumin has medicinal properties and is used to reduce joint pain, inflammation and support detoxification and cognitive functions. You can partake in golden milk’s benefits with a healthy breakfast. Simply use this recipe to soak your oats over night. Mix all the ingredients together and stir well. Mix the golden milk and oats together in mason jar or a bowl. Add honey or maple syrup for a sweeter taste. Place it in the fridge overnight or at least for 2 hours. Top up with any fruits you’d like. Enjoy! Stéphanie Achar is a qualified nutritional therapist and health coach based in South West London. 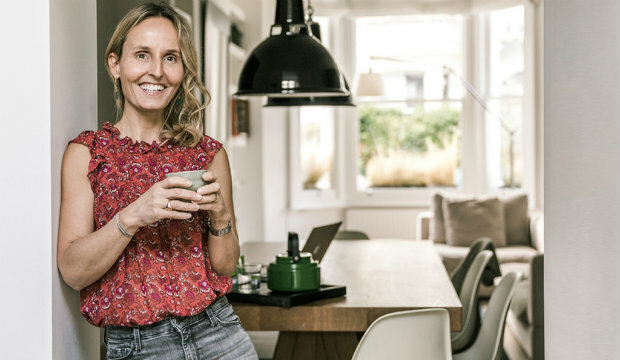 She is collaborating with Culture Whisper to create a series of seasonal, wholesome and nutritionally balanced recipes.